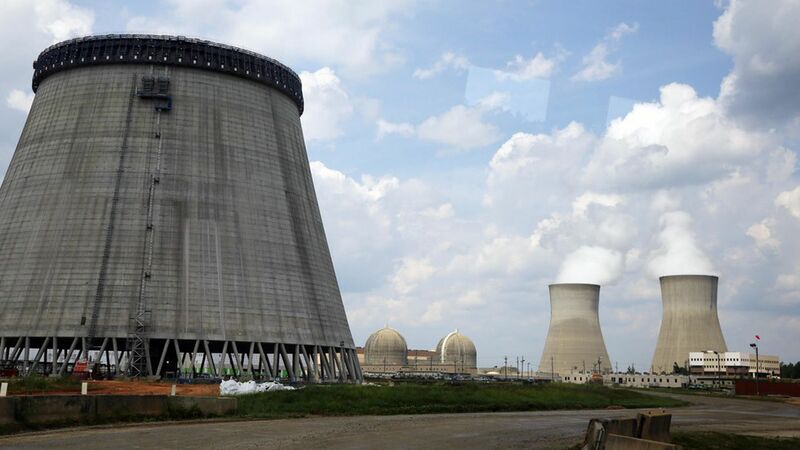 America's nuclear industry is urging Congress to pass legislation within the next couple of weeks that would allow two pairs of financially struggling nuclear reactors to cash in on expiring tax credits. Why it matters: The future of America's nuclear power industry -- and a whole bunch of carbon-free electricity -- rests on whether these four reactors come through, as reported in one of my earlier Harder Line columns. Officials at both power companies involved, Southern Company and SCANA, say the tax credits, which under current law would expire before they could take advantage of them, are essential in finishing construction. Driving the news: A House committee approved the legislation at issue on Thursday, according to Environment & Energy Daily ($). It will be tough to pass both the House and Senate at all, let alone by the end of this month. Russia and China are exporting nuclear technology, and the U.S. will be left behind if these projects are abandoned. If these projects aren't built, it would also stunt development of the nation's defense nuclear complex, because the engineering expertise on the energy side helps the defense side. It wouldn't cost much relatively, and although the document doesn't specify an amount, it's estimated to be about $16 million over 10 years. What's next: A decision on whether to keep building the South Carolina reactors is expected by June 26, making the legislation an urgent matter in a congressional body not known for its swift moves. The bill could squeak through, the small window of time willing. Nuclear power is on a short list of energy issues this Congress might actually pass that this president would sign. have softened their opposition to nuclear power because of its carbon-free attributes, Republicans have always backed the resource and the Trump administration has signaled an interest in making sure these plants make it to the finish line.